What would you do if your collective of tiny bots suddenly decide to mutiny? Is an 11 second attention-span long enough to bond with a cryogenically-revived tourist? 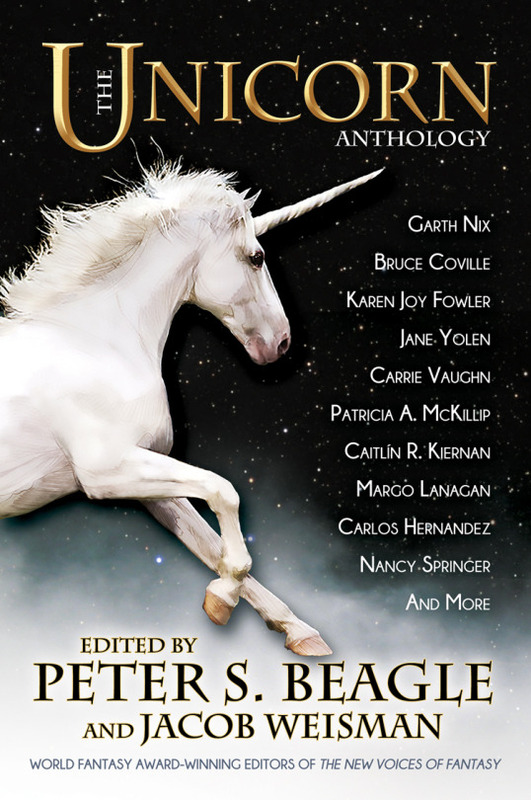 The avant garde of science fiction has appeared in this sequel to award-winning anthology, The New Voices of Fantasy, now launching the rising stars of the last five years. Hannu Rajaniemi (editor) is the author of The Quantum Thief, The Fractal Prince, The Causal Angel, and a standalone novel, Summerland. Rajaniemi was born in Finland, and completed his doctorate in Mathematical Physics at the University of Edinburgh. His works have received Finland’s top science fiction honor, the Tahtivaeltaja Award, as well as nominated for the John W. Campbell Award for best first science fiction novel in the United States. He is the and CTO of HelixNano, a synthetic biology startup based in the Bay Area, where he currently lives. 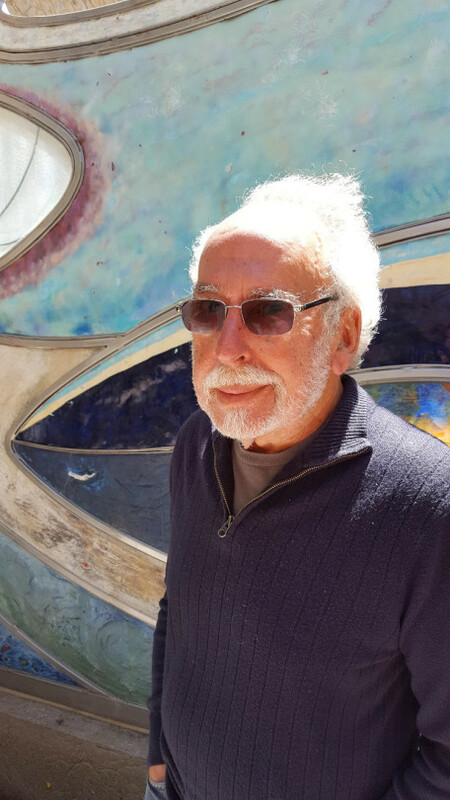 Jacob Weisman (editor) is the publisher at Tachyon Publications, which he founded in 1995. He is a World Fantasy Award winner for The New Voices of Fantasy (co-edited with Peter S. Beagle), and is the series editor of Tachyon’s critically-acclaimed novella line, including the Hugo Award-winner, The Emperor’s Soul by Brandon Sanderson, and the Nebula and Shirley Jackson award-winner, We Are All Completely Fine by Daryl Gregory. Weisman has edited the anthologies Invaders: 22 Tales from the Outer Limits of Literature, The Sword & Sorcery Anthology (with David G. Hartwell), and The Treasury of the Fantastic (with David M. Sandner). He lives in San Francisco. Sarah Pinsker’s fiction has been published in magazines including Asimov’s SF, Strange Horizons, Fantasy & Science Fiction, Lightspeed, Daily Science Fiction, Fireside, and Uncanny and in anthologies including Long Hidden, Fierce Family, Accessing the Future, and numerous year’s bests. Her stories have been translated into Chinese, Spanish, French, Italian, among other languages. In 2019, Sarah also published her first collection, Sooner or Later Everything Falls Into the Sea: Stories and her first novel, A Song For A New Day (Penguin/Random House/Berkley). Vina Jie-Min Prasad is Singaporean writer who began publishing short stories in 2016 with “The Spy Who Loved Wanton Mee” in Queer Southeast Asia: A Literary Journal of Transgressive Art, at which point she’d already been nominated for The James White Award for the best unpublished work of science fiction. She broke out with two major stories the following year, “Fandom for Robots” and “A Series of Steaks.” The two stories were each nominated for Hugo, Nebula, and Theodore Sturgeon Awards. Prasad was then nominated for the John W. Campbell Award for Best New Writer. She graduated from the Clarion West Writers Workshop in 2017. E. Lily Yu’s fiction has appeared in Clarkesworld, The Boston Review, Fantasy & Science Fiction, McSweeney’s Quarterly, Apex, Uncanny, Terraform, Tor.com, and many others. She has been a finalist for the Hugo, Nebula, World Fantasy, Locus, and WSFA Small Press Awards, and won the John W. Campbell Award for Best New Writer in 2012. Darcie Little Badger (Lipan Apache, Texas) has written fiction in Strange Horizons, Mythic Delirium, and The Dark. She is also in numerous anthologies, including Lightspeed’s POC Destroy Fantasy special issue, and Moonshoot: The Indigenous Comics Collection Volume Two. She is also co-writing Strangelands, a comics series in the H1 – Humanoids shared universe. When she is not writing indigenous gothic tales, she edits research papers, and has a PhD in Oceanography. Nino Cipri is a queer and trans/nonbinary writer, editor, and researcher currently enrolled in the University of Kansas’s MFA in Fiction. They are also a graduate of the 2014 Clarion Writers’ Workshop. A multidisciplinary artist, Nino has also written plays, screenplays, and radio features; they have performed as a dancer, actor, and puppeteer; and worked as a backstage theater tech. Their work has appeared in Fireside Fiction, Interfictions, Nightmare Magazine and others. A book of their short fiction, Homesick, is forthcoming from Dzanc Press. Rich Larson has been an extremely prolific writer of short fiction since 2011, with over a hundred stories sold to Asimov’s, Analog, Clarkesworld, The Magazine of Fantasy & Science Fiction, Lightspeed, Tor.com, and more. He attended the Alpha Science Fiction, Fantasy, and Horror Workshop for Young Writers and was a runner-up for the Dell Award in 2013. He is the author of the Violet Wars trilogy from Orbit and his debut collection is Tomorrow Factory from Talos Press. Born in Niger, he now lives in Ottawa, Canada. S. Qiouyi Lu lives in California with a black cat named Thin Mint. They are a graduate of the 2016 Clarion West Workshop, and founder of Arsenika. Their short fiction and poetry have been published in Strange Horizons, Fantasy & Science Fiction, Anathema, Uncanny, and more. They have translated Chinese science fiction for Clarkesworld. Sam J. Miller’s work has been nominated for the Nebula, World Fantasy, Crawford, Locus, Theodore Sturgeon, and Lodestar Awards, long-listed for the Hugo, James Tiptree Jr., and British Science Fiction Association Awards, and won the Shirley Jackson Award and the Andre Norton Award. He is a vegetarian in a line of butchers and got gay-married under a Tyrannosaurus Rex. He is the author of The Art of Starving and Blackfish City, and a co-editor of the critical anthology Horror After 9/11. Miller is a graduate of the 2012 Clarion Writers Workshop and currently lives in New York, New York. Samantha Mills is an archivist living in Southern California. Her short fiction has appeared or is forthcoming in Beneath Ceaseless Skies, Strange Horizons, and Diabolical Plots. David Erik Nelson is a science fiction author and essayist. He has written reference articles and textbooks, such as Perspectives on Modern World History: Chernobyl, and builds instruments, as he chronicles in Junkyard Jam Band: DIY Musical Instruments and Noisemakers. His short fiction has been featured in Asimov’s Science Fiction, Fantasy & Science Fiction, StarShipSofa, and anthologies like The Best of Lady Churchill’s Rosebud Wristlet, Steampunk II: Steampunk Reloaded (Tachyon, 2010), Steampunk III: Steampunk Revolution (Tachyon, 2012), and The Best Horror of the Year, Volume 10). Jason Sanford’s work has been published in Asimov’s, Analog, Beneath Ceaseless Skies, SF Signal, The New York Review of Science Fiction, and many more, with reprints appearing in many Best Of anthologies. British SF magazine Interzone once published a special issue of his fiction. He has been a finalist for the Nebula Award and his fiction has been translated into several languages. He co-founded storySouth and writes regularly for Czech SF magazine XB-1. Amman Sabet has designed digital products and services for companies such as BMW, Adobe, Comcast, Wizards of the Coast, and Intel. He is a graduate of the 2017 Clarion Science Fiction and Fantasy Writing Workshop. Kelly Robson’s fiction published in Asimov’s, Tor.com, Clarkesworld, and Uncanny. She has been a wine and spirits writer for Chatelaine Magazine, and has contributed several essays on writing to Clarkesworld’s Another Word column. Her short story “The Three Resurrections of Jessica Churchill” was a finalist for the 2015 Theodore Sturgeon Award, and her story “Two-Year Man” was a finalist for the 2015 Sunburst Award. Suzanne Palmer began her science fiction and fantasy career in painting and sculptures, long before writing, and exhibited her art at various conventions nationwide. Her poetry and short stories have been in Asimov’s, Analog, Beneath Ceaseless Skies, Andromeda Spaceways Inflight Magazine, and many others since. Little is known about the brutally minimalist Jamie Wahls, who presumably lives in a mimetic reality peppered with digital simulacra like the rest of us. Alice Sola Kim has been published in Tin House, The Village Voice, McSweeney’s, Lenny, BuzzFeed Books, and Fantasy & Science Fiction. She received the prestigious Whiting Award in 2016, and has received grants and scholarships from the MacDowell Colony, Bread Loaf Writers’ Conference, and the Elizabeth George Foundation. Lettie Prell’s first novel was in 2008, but more recently she has been published in Clarkesworld, Analog, Tor.com, and Apex Magazine. She currently lives in Des Moines, Iowa. Amal El-Mohtar is a writer, reviewer, and poet. Her stories and poems have appeared in numerous magazines and anthologies including Tor.com, Fireside Fiction, Lightspeed, Uncanny, Strange Horizons, Apex, Stone Telling, and Mythic Delirium, and her articles and reviews have appeared on NPR Books and on Tor.com. Her stories have been nominated for and won the Nebula, Locus, and Hugo Awards, and she her also won the Rhysling Award for Best Short Poem. She is currently the Otherworldly columnist at the New York Times. Rebecca Roanhorse is an indigenous writer (Ohkay Owingeh Pueblo) whose breakout novel Trail of Lightning was nominated for the 2019 Nebula Award in the Best Novel category. She won the John W. Campbell Award for Best New Writer in 2018. For more information, visit Hannu Rajaniemi. Follow Hannu on Twitter.